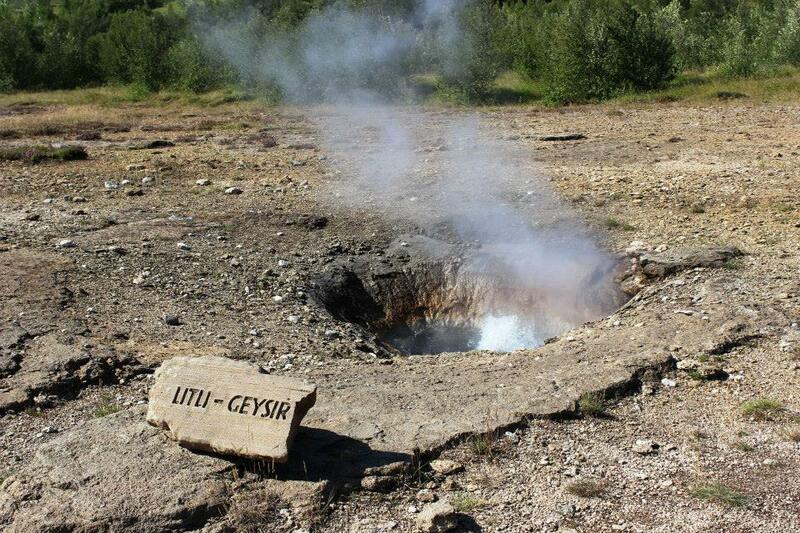 Geysir is the original hot water spout after which all geysers around the world are named. Unfortunately, it became clogged in the 1950s due to tourists trying to set it off by throwing rocks into it. Fortunately, Strokkur is right next door. 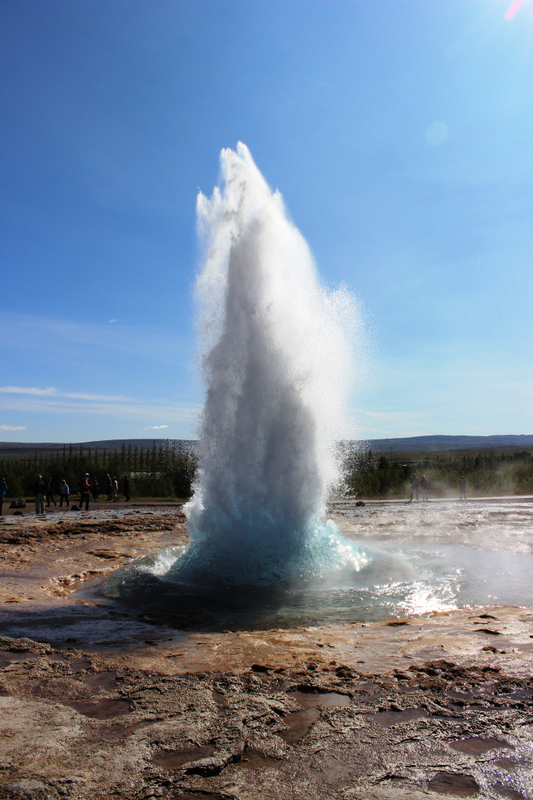 This geyser erupts every 5-10 minutes, without fail. If you are trying to time your camera shot just right, make sure to look for the big bubble which appears at the surface seconds before eruption. Warning from personal experience: Although there is a rope to ensure a “safe viewing distance”, if you are standing downwind from the spout, you will get rained upon! 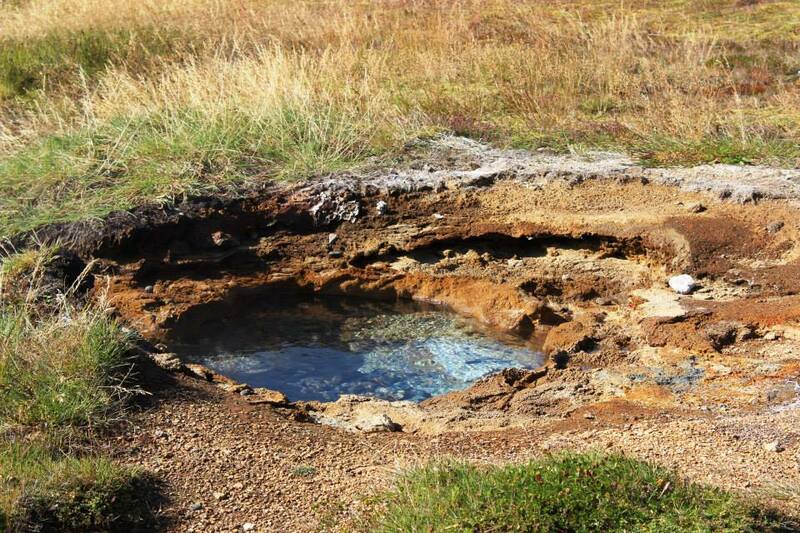 And nobody wants to be drenched in boiling hot, smelly sulfur water…trust me. 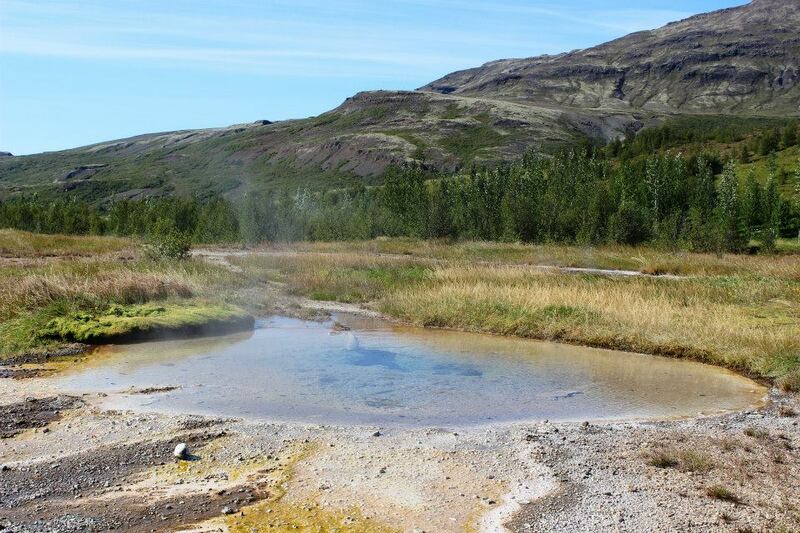 Take a short stroll around the area, and you will find other mini-geysers and hot pools. 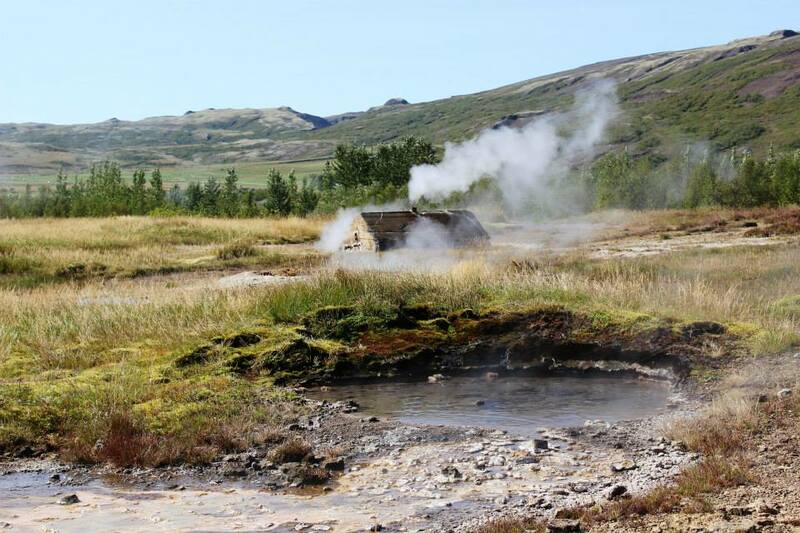 The geothermal area costs nothing to explore and there is a large complex (with restrooms) across the street, named Geysir Center. Here you will find a gigantic souvenir shop, a restaurant and a cafeteria. I ate in the cafeteria, and although the food tasted fine, it was very expensive – even for Icelandic standards. I would recommend packing a lunch and picnicking instead.